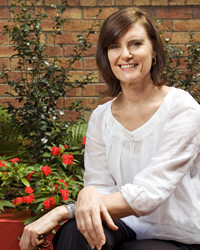 Bronwen is an experienced psychologist and psychotherapist practicing in Brisbane CBD. Bronwen's practice features a respectful, warm and interactive relationship within which clients can safely consider and resolve troubling and distressing issues. Bronwen offers short term psychotherapy tailored to the ten sessions subsidised by Medicare. She also offers longer term psychotherapy for those seeking deeper resolution of longstanding, painful and difficult issues. Bronwen is trained in psychodynamic, cognitive-behavioural, interpersonal, schema focussed and dialectic behavioural approaches. Within that framework she emphasises personal meaning and narrative. Treatment is shaped according to what will be most effective for the needs and presentation of each client. She pays attention to what is happening in both mind and body as so much of what is happening in our minds plays out through our bodies. A long term interest and practice in yoga, also influence Bronwen's work and therapeutic approach. More broadly, Bronwen takes a holistic and strengths based approach placing problems within the context of the whole person and results in clients building a richer personal world. Bronwen attends to both her love of ongoing development in skills and knowledge as well as ensuring that she meets professional requirements from the psychologists registration body, Psychology Board of Australia. She takes regular clinical supervision from a senior psychologist, as well as engaging in peer supervision, and professional development. Bronwen has 19 years experience that includes work in both the public health system as well as private practice, and in both rural and urban locations. She has substantial experience in a public mental health service with both adolescents and adults in community and in-patient settings, with clinical leadership roles along the way. Bronwen also has experience in workplace mediation, and conferencing in the justice system. Providing clinical superivsion to other psychologists is another aspect of Bronwen's practice. Ballow Chambers is close to public transport and car parking facilities. Central Railway Station is directly across the street from the building entrance, as is a public carpark. There is ample metered street parking in the area. Initial consultation $247.50 - one and a half hours. Subsequent one hour consultations are $165. Clients with a Medicare Mental Health Care Plan from a GP are eligible for a rebate of $124.50. cash, or electronic direct deposit. My belief is that we are the product of our experience and meaning making, more than we are the outcome of genetic expression. Furthermore, my belief is that mind and body are one. So approaches that fully explore the impact of human experience, the meaning we give to those experiences, and consider how experience is reflected in mind and body is my great interest. In theoretical and therapeutic terms my philosophical orientation would include humanist, psychodynamic, narrative and systems approaches. I am particularly interested in those times in a person’s life when they reach a point when whatever has held that person together before, is no longer sufficient. This can happen in a myriad of circumstances: such as becoming depressed or a global sense of having lost one’s way. Whatever the circumstances, the moment represents a window opening for change to occur and a deepening and enlivening of individual meaning to take place. Firstly, as a therapist knowing one’s own issues and vulnerabilities is crucial to knowing what belongs to the client and what belongs to oneself when one comes to conducting therapy. Knowing oneself helps with having empathy and sensitivity, as well as keeping a balanced perspective. Secondly, having sat in the therapy room as a client provides vital knowledge of what clients might go through as they sit with you. Doing therapy is not easy. My own experience has provided me with these insights as well broadening and enriching my personal life. Being a therapist is a gift, and hard work. To have people entrust me with sharing their inner world is a privilege. This is a difficult question to answer. But here are some thoughts. Life is mysterious and complex. There are both breathtaking and devastating facets of life in both our inner and outer worlds. We have to deal with all of these. Often life twists and turns unexpectedly. I’m focussed on how we deal with the process of meeting challenges in life as well as specific problems. If pressed I would say that in the outer world environmental degradation and climate change, and discrimination be it racial, gender, religious or other forms would be topics that concern me a lot. Any art form that captures the universality of human experience is inspiring as it tells us about ourselves. Think of the enigmatic beauty of the Mona Lisa, the strength and wisdom of Atticus Finch in “To Kill a Mocking Bird”, the power of Freddie Mercury singing “We are the Champions”, the glorious Fauré’s Requiem, or the torment of Healthcliff in “Wuthering Heights”.